Facebook may have more users, Twitter may be buzzier, but ask social media watchers (particularly young users) which platform matters the most right now and you’ll likely hear one answer over and over again: Instagram. Yet despite more than 800 million active monthly users, it hasn’t always been easy for Instagram fans to use their accounts like they wanted. That includes scheduling posts. Now, you can enlist a true aide in all your Instagram endeavors with a lifetime subscription to a Planagram Agency Plan. Right now, it’s only $49. 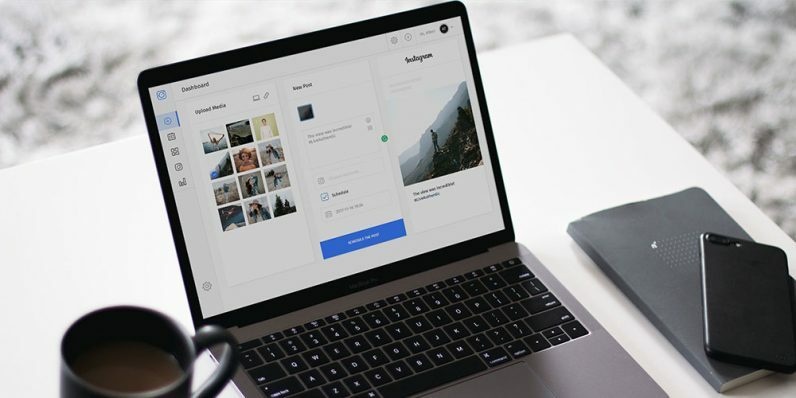 Rather than setting reminders or trying to adhere to a schedule when posting Instagram images, galleries or stories, Planagram allows you to handle all your Insta-prep work in one fell swoop. Plangram lets you schedule and post everything automatically, including up to 10 images at once. Just choose your pics or videos, add your text, set the time you want your post, album, video or story to go live…and you’re done. You can set up an entire day — or an entire week — of posts all in one sitting. All the content goes through Instagram’s API, so it stays secure. Planagram even integrates with Dropbox to help keep all your content orderly and accounted for. Regular Instagramers will save a ton of time — and with this limited time offer, they can save a lot of money as well. A lifetime of Planagram service retails for nearly $3,000, so get it now for just $49.